My son Soren was a particular star for his delivery of the French lines I could write but can’t pronounce, and Kelsey tirelessly womaned the book table while so many of you generously bought copies. If you’re now a (hopefully proud) owner of Triptych, you can help promote the book by posting a review on Amazon or Goodreads. Be honest! This entire endeavor is based on the belief our honest words are the living ones. I’d love to hear how your story intersects with Triptych and what the work made you re-see, experience, and question. Some of my favorite conversations at the party were with former and (possibly) future students. One of the highest honors of having a book out in the world is hearing you respond with the stories of your own matches (puzzles, flames, fights) of faith. I only hope that is the good work Triptych can continue to do in the world. Creating buzz around a book can produce stingers or honey. Fortunately, the artistic community in Minneapolis/St. Paul has been good company. The folks below have supported Triptych in various ways and I’m glad to recommend their work for some cross-pollination. Also, we’ll do our first giveaway this week introducing the work of calligrapher Allegra Rose. 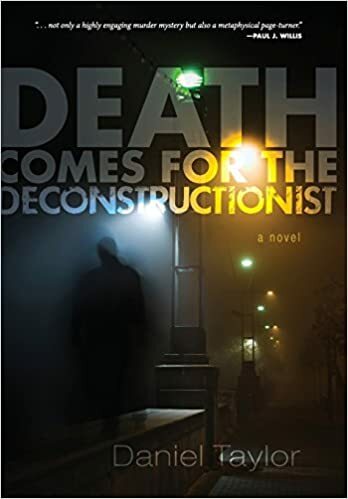 Daniel Taylor, author most recently of Death Comes for the Deconstructionist, which won Christianity Today’s 2016 Award for Fiction. Dan’s other books include The Skeptical Believer and In Search of Sacred Places. Besides saying kind things (“a poet’s memoir”! ), Dan has helped me navigate the business of publishing by offering feedback on contracts, encouragement in editorial exchanges, and mentoring through the details with trademark good humor. Deborah Keenan, author of ten collections of poetry and winner of the Minnesota Book Award. 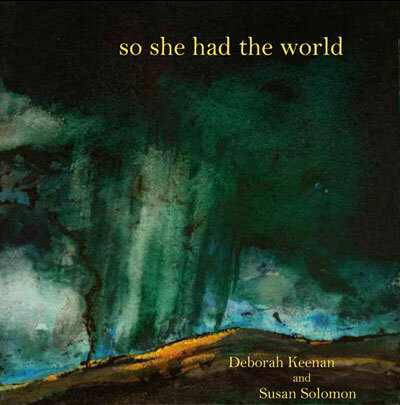 Deborah’s most recent collection is so she had a world, a collaboration with painter Susan Solomon. Deborah’s inspiration during my MFA studies, guidance on my thesis– which was an early (bumbling) draft of Triptych— and the rhythms of her own poetry deeply influenced the lyric voice of the book. She offered many of the ‘first permissions’ I needed to brave the work. “Sometimes we rhyme slow. Sometimes we rhyme quick. Paper Antler is dynamic photography duo Jonny + Michelle Hoffner. Their work reaches clients from Doomtree Records to Glamour to Pixar, and they shoot the most beautiful wedding photographs you’ve ever seen (I promise). Paper Antler has allowed their images to accompany many of my essays and to appear in Triptych’s Instagram feed. I want to be like Jonny + Michelle when I grow up: making beautiful images, and full of generosity and grace. This week we introduce the creations of Allegra Rose, an emerging designer whose quiet, lovely work helps us focus on daily beauties. Allegra has hand-lettered five phrases from Triptych that will be available as 8′ x 8′ prints on fine paper. Click the links to see lines graced by Allegra’s hand, then follow the directions below to enter our giveaway for the print featured above. And here, we mark her untouchable soul with– hands, people, water– all that’s closest to touch. This place is all mornings. Like the smallest bird in a forest, singing simply because birds sing. May you live in the hum, and be spared the clatter. The second section of Triptych, “Sons” chronicles the blistered experiences of young adulthood: trying to find love and cope with sexuality when being faithful means a flame burns both human and divine. The next year I lived in the past, sealed in dark envelopes of memory reckoning things already history. On one side, God and questions, on the other, body and experience. Fracturing sides into angles, angles into shapes, I laced lines between parallels. God : body :: question : experience. God : experience :: body : question. I leaned back my whole weight and pulled. Laces winced, things shattered. Some in tiny, tinkling pieces. Some in whopping, woofing thuds. The year was nights. And memories of nights. Spinning. Metal platter whirls like an old LP. Kick-kick, pull. Kick-kick, center. Wet fingers slide over juicy clay. Heel of the hand presses in, clay bowls, hollows, the center drying in the friction. Kick-kick, dip. Kick-kick, center. Brubeck’s “Take Five,” spinning, toeing round the edge of the empty-dark studio. Kick-kick, shhhhh. Clay slip centrifuges off the wheel. Hands dip in the saucy bucket. Pressed between knuckle and thumb, clay rises, balloons, narrows. Kick-kick. Earthy powder dusts the floor; the kick of the foot knocks the dust from the shoes and into the nostrils. Kick-kick, center. Two, together in a blue hum, a swell of twilight stolen and held while the sky outside has turned black with night. The type of blue where nothing is black or white. The color of bittersweet. The earth is flying around the outer edge of its orbit. On its axis, it has slowed in its rotation just enough. The sun blazes and Saturn spins, but time on earth has stopped. Friction from the slowing warms the bluish glow and everything is quiet. The television and the computer are dormant, the refrigerator upstairs has stopped its drone and the tumbling of the dryer has died with a squawk. No one is up getting a drink of water or letting the dog out. Take Five. New clay, water palmed from the bucket and smoothed over the ball of earth. Kick-kick, whirl. The letter from Adam. Fort Sill. “…I don’t have my address yet, but wish I did—that way, I could have people write to me now so that I’d have mail waiting when I got to my battery…” People. “Oh well, I’ll survive.” Kick-kick. “…Well, I’ve got to get going to bed…4 a.m…” Kick-kick, pull. “Talk to you later! Love, PFC Kauffmann.” Later, love. 4 a.m. I turned off the headlights and hoped the dog wouldn’t bark. Adam was still up, he knew I was coming, but the rest of his family was in bed. The house was dark, but the garage door was open and I knocked quietly before going in. I took off my shoes in the entry and quietly voiced his name. He appeared in the doorway to the basement, comfortable. Hazelnut eyes, bronze skin, baritone. He shut off the entry light, leaving the level dark, and I followed him down the stairs. He sat on the arm of the couch and I settled cross-legged in the middle cushions and asked about his day. He’d talked with his commander and the details were settled; he’d be leaving for his second session of training in four days. We decided what movie to put in and he started it, turned out the lights and sat next to me on the wide sectional. Our arms touched and I could feel his muscle through his shirt, could feel his breathing—listened for it instead of the movie. He asked if I wanted the blanket, I asked if he wanted to share it. I moved closer, he spread it over us. Scenes passed, his arm draped my shoulders, my head found his chest. The movie ended, he pressed the button on the remote and the screen snapped to grey. We watched the glow fade and the house was silent. Kick-kick, pull. The question then. Without a pattern. Without a pattern of questions. The first time a statement. “You know what this means.” We both knew. Best friend’s girlfriend. A secret and a separation. An act that meant choosing to end a first love. A spark on someone else’s heap of tinder. An act that gave permission to finally end a first love. Friday and the radio: the kind of afternoon where the right mix of music throws everything out of proportion. The early January sun warmed the inside of the car and the roads were clear all the way to St. Peter. Christmas still clung to the DJs’ chatter. I drove out of the Cities and through the frozen Mississippi river valley toward his college among the farmland of southern Minnesota. Wednesday, Adam had emailed suggesting Brian and I come down to visit for the weekend. I answered that Brian was doing a concert in Illinois [pause] but if he was looking for a visitor, I could come alone. He answered that I should come if I wanted to. When I got to Gustavus I met the guys he ran and lifted with and some others in the jazz ensemble. I asked about what they were playing and who belonged with which instrument. They each seemed to fit them the way Adam fit his baritone sax. After dinner we went back to his room and decided to settle in for the evening so we’d have the chance to talk a little. His blanket-covered loveseat squatted below the square window and his roommate was out for the evening. We talked about the kind of person Brian was and the good and the difficult accompanying that. When Adam got up to change the CD, I paused and thought, I’m just tired of trying to explain myself to someone. “What?” Adam was facing the stereo putting in Getz/Gilberto. “What do you mean, ‘What?’” I asked. “You were going to say something.” He put The Real Quietstorm back in its case and scanned for its place on the shelf. He found the CD’s place on the shelf and slid it between the other sax players. Kick-kick, center. The world is the size of the wheel and deep into “Blue Rondo a la Turk,” the beat lays back. The saxophone sounds tripping but remains in total control. Maybe my sense of rhythm is weaker than I thought. Two years, two hours. The clay is warm and I gouge my knuckle in and press outward. Two years of tracking—too far? too far? too far? Two hours of talking—how far, how far. The form opens and I press down and out, stressing the center. And if the lines don’t matter? If I decide none of the lines matter? The top edge catches, the clay hooks, folds and flies open. It spins splayed and unbalanced. No. Kick-kick, pull. I fold my socks in cotton nuggets because of this. I study literature and my drawer is full of military socks. “Can I kiss you?” “You know what this means.” “I’m not looking for a serious relationship right now.” “I can read you.” I can read you. Read you. This put the slant in my handwriting. “Love, PFC” 4 a.m. This put the slant. An electricity like blue neon light. I can hear his heart beat through the firm pillow of his chest: for all the jazz of his mind, his body is orchestrated. His heart beats like a well-tuned timpani, his fingers brush the nape of my neck as fingers settling on a violin. I can feel practice calluses on his fingertips. His body is settled in the couch like a stringed bass in its velvet case. Beneath his soft t-shirt fine dark hairs run down his stomach like a set of strings. We are lying hip to hip in the dark listening to someone upstairs get a glass of water: the peel of the refrigerator seal, the gurgling pour, the smack of the door shutting, footsteps away down the hall. As we listen, his strumming never changes. He lifts his arm and slips it under the back of my shirt and begins to trace his fingers up my spine like a pianist playing scales. I can feel his body changing keys. The movement we play in is largo, measured, in long smooth phrases. I slide my hand inside his sleeve and touch his shoulder, he wraps his arms around my back. We’re getting tangled in each other’s clothes. His neck smells like myrrh and fallen leaves. I kiss from his ear to his sculpted collarbone and listen for his breathing to deepen. I lift his shirt and kiss down his chest. I lay my head on his stomach and listen for his heart. It’s steady, unaffected. I rest my palm on his hip and whisper, “I think I finally figured out how to describe your kisses.” When he asks “How?” I can’t read his voice. I say, “And I think I’m finally figuring out how to read you.” I am lying. Hoping my voice will make the statement true. I raise myself to look in his eyes. I can see in them that I’m a fool. That I can’t resist the hum of his body. He has no plans for a symphony; I know this. “Fetching,” I say. “Your kisses are fetching.” And lean down into a kiss where my burning fuels the cool blue flame. Kick-kick, pull. Emily. Gaby. Mandy. Jess. Hiroko. Megan. Kick-kick. Emily. Gaby. Mandy. Jess. Hiroko. Megan. Kick-kick, center. “I don’t want to be just another name on your list.” Just another body. Just a body. Just another body on the list. “April, that will never happen.” Emily. Gaby. Mandy. Jess. April. Hiroko. Megan. “Round Midnight” sneaks into the air like blue smoke. Kick-kick, pull. Take Five. Metal platter turning like an old LP. The clay spins, grows, hollows, sliding between fingers, palms, drying in the cuticles. Kick-kick, pull. Get a love and dirt slides in. Dirt. Dirt slid in so get a love. Letter. “Hello April! Well, I’m down at reception right now. I don’t have my address yet, but wish I did—that way, I could have people write to me now so that I’d have mail waiting when I got to my battery. Oh well, I’ll survive. Well, I’ve got to get going to bed. 4:00 is still way too early to get up. I think my circadian rhythms are a little messed up right now. Talk to you later! Love, PFC Kauffmann” Just dirty. ¾ time, edging on too early or too late, spinning, toeing round the edge of the empty dark studio. But he whispered, “Can I kiss you?” I turned my face up to him, the arch of my neck a silhouette. But he asked again, “Is that a yes?” Kick-kick, shhhhh. Yes. This week we chatted with kids in my community asking what they thought of publishing, the cover and the writing life. Thank you Ella, Gwyn, Norah, Soren, Taya and Titus for, as usual, sharing joy and wisdom. The world may be split between two kinds of writers: those who can listen to music when they write and those who can’t. I’m one who needs sensory deprivation. Creating (or in my case most often, recreating) the timbre of a voice, the cadence of action, or the tone of a moment requires a vacuum. A clock ticking can be enough to disrupt writing from memory: the phantom process of transporting the body, the senses, into places and moments in the trunks of the mind. Next to aroma, though, music may be the most transporting medium. A song can be a red plastic pushpin holding a stack of former doubts, images, hopes and relationships together as a world intact. A hymn can bring back not just the slant of light on pine pews at 10:12 am in September, but the texture of those weeks when you knew something was wrong with grandma but no one had yet said, ‘Alzheimer’s.’ With music we can not only access discrete objects from the past, but we can fall into its net, and sometimes pluck the web. Music lets us enter moments as they were rather than as they have come to be. There’s a lot of music in Triptych. Much (I hope) in the language itself, and most unmentioned in the text, present as a sort of silent soundtrack. But a few songs were so integral to moments of the story they are named in the pages. I wrote these sections while listening to their tracks on repeat. I wanted the measures of the music to be the measures of the breath, the instrumentation to ooze into the images, the harmonies to shade the scenes. When copyright slashed through the manuscript, this became more than an exercise in craft. Permissions and fees for lyrics can be impossible— especially for popular music, the likeliest soundtrack for memories– which meant the songs had to be present without their lyrics, somehow palpable with neither their notes nor their words. The songs most present in Triptych make great studies in tone (which was part of their magnetism). They are distinct and varied, and beyond being useful to my writing, could toss you momentarily into new worlds. If you write or make other art, creating to this playlist could be a 20-minute exercise in virtuosity. We all, though, have an artistic or personal bulletin board full of musical pushpins. What songs capture watershed moments in your life? What music plays when you create? What tunes get you in deep? What tracks lead you out of yourself? How do we make sense of God through human relationship? How do the layers of experience and theology interleave? How do the persons of the trinity show up in the formative altars of our lives? Triptych grapples with the complications of the faith of incarnation and how their dimensions shift as we grow. Probing the implications of trinity, the memoir unfolds in three sections: Fathers, Sons, Holy Ghosts. “Fathers” wrestles through faith in childhood, trying to make sense of the lines of love and duty and how fathers represent a Father God. We begin there for a first taste of Triptych. Bon appetit, my fellow pilgrims. I hope these words can whet your appetite for what’s to come. Surrounded for miles by cornfields and woodlands, the farm was a worn spot in a pair of old jeans. Dusty and threadbare in the center—where gravel showed through like the knee-skin of the earth—the house, barn, and garden were stitched around the grass fringes under the crisp and stacked Minnesota sky. The mile-long driveway spooled from the square seam of the county roads to the house: a piece of worn 70s embroidery, the best efforts of a 23-year-old farm wife to craft style from hand-me-downs and a little colored thread. The barn, corrugated steel with button ventilation chimneys, sat outside the homemade curtains and past the yard and its rusting and prized swing set. The garden, a calico quilt square, laid in leafy stitches on the bottom side of the gravel scuff, a never-ending sampler. Corn and soybeans in the fields, foxtails and wild grapevines in the ditches, the wind making everything wave just a little, the sun and the sky making smells: this place is the first home I remember. The farm was tired, but the little family in it, mine, marched to the blooming of tomato plants and the drying of the tasseled corn. The fields were our calendar, marking days and seasons as they checkered the land, and the farm itself our timepiece, the round face of hours circling barn, garden, home. And as much as it’s been said before, it was true. This place was my first world: the canvas and the blank staff, the open book, the unrecited chant. It was, as Eliot says, the place we start from. My father, slim and brown, his loose hair wavy and faded like his jeans, roamed the hazy light of the barn in the early mornings. In his spattered Red Wing work boots and Pioneer cap, he moved though the rows of sow stalls under the low ceiling, hot when the afternoons were hot and stoic when it was cold. A red paisley handkerchief hung out his back pocket for wiping his hands and glasses, the square brunette plastic of the 70s, and a pair of work gloves flopped from his right jacket pocket. If you caught him in the late afternoon in the dusty air of the barn, standing in the corridor of hay and rust-colored gates, it was hard to find him, to pick him out. Not because, like some men, his work suited him so well, but because he blended in with the light. Maybe it was simply he was as dusty as the air around him, but looking for him I always had to start down low, let my eyes run across the straw-scattered floor, and find his shoes: brown, scuffed, solid. Then, there he’d be, looking back at me, some kind of far-off question in his eyes. I always had to search to find my father. In the barn in my elastic-waisted jeans or at church in a cotton floral dress and patent leather shoes, it wasn’t hard for me to see him, but it was always the seeing of watching. Watching him stand in a brown suit by the carpeted stairs of the sanctuary and nod in conversation with a few of the men, the deacons, his brows furrowed over marble-blue eyes. Or watching him jog over to help Mrs. Mattson carry a great dish of foil-covered casserole across the leafy parking lot. My mother, I didn’t watch; her presence more like a smell than an image, an aroma to live in, she was the given, burlap warp to my weaving, shuttling weft. We’ve always looked so much alike—small-framed, large-eyed, with slender Welsh noses and small busy hands—people recognize me instantly as ‘one of Diane’s girls.’ My mother and I look and sound the same, but I am a daughter with her father’s substance. Even from the time I was young, barely to his knees, Dad and I have swung out from my mother’s quiet cord looking at each other past her fibers, our shared complement. It may sound demeaning, giving my mother the substance of essence, only the weight of an anchor. But in it she’s blessed. Because she’s never been a symbol. Her chestnut hair and light coffee alto have always only stood for her: Mom, Diane. My father and I have had the great struggle of being to each other symbols. And so it is, we’ve watched. I watched because it suited me and because it answered me; they said in church God was like a father, so I had every reason for watching mine. I watched especially at the beginnings and ends of days, the spaces where he had to cross boundaries, the moments between roles. From the wobbly dining room table, behind plastic cups and slick paintbrush, I would stop swinging my legs and try to see the slice between provider, father—what he was when he wasn’t supposed to be anything. This, I thought, the moment between gears, was the place to find the tenor of identity. A difference or a habit, when none was required, would show me the motor behind action, the vision that framed decision. From before I was old enough to think it, I believed this was the place to test where father linked to Father. At the end of each day on the farm, when afternoon errands and chores were finished, my parents would meet each other in the kitchen, each empty-handed. Mom would raise her heels off the scuffed linoleum, and I would watch my father lean his neck down and their thin lips would touch. They always kissed with their eyes open: hers quiet but wide like they’d met too many flashes in the dark, his squinting like he’d spent his life examining the sun. I’ve always known my eyes, older, would be split between them: externally, large and round like Mom’s, internally, ground and sharpened by hard light. My parents never lingered or rushed, but ended their kisses with the snap of their lips separating, a click like a latch rejoining. Then she would go back to stirring a bubbling skillet and he would walk into the house to clean up, both of us watching him go, while I puzzled out which pieces of life were which father’s choice. Even in my small mind, marking out the territories of love and duty. Designer Heidi Kao, who penned the vines and branches, adjusting cover objects in preparation for production photography. Creativity is hands-on and communal. My students will tell you I regularly rant that we are essentially embodied and the solitary artist is a destructive myth (this sometimes involves standing on tables, and always includes gargantuan arm gestures). So, as this book contract came together, I was challenged to practice afresh what I preach. How could this new venture honor embodiment and community? One of the earliest “what ifs?” was the idea of crafting a cover by working with students in Bethel University’s Art & Design programs. Thanks to design faculty and a publisher game to experiment, and a group of students willing to begin working for free, we opened the project to advanced design students and offered a contract to the winner. Reviewing second-round developments from additional designers including Brita MacInnes and Allegra Rose. Art and community are messy, but, damn, are they rich. By risking collaboration, I now know the work a dozen more artists, have stronger relationships with my colleagues, have helped emerging designers launch their careers, and better understand my own work. Talking with Allegra, and Jessie, and Brita, and particularly Emily and Heidi, through their processes has helped me understand better– not just language or my own text– but ideas, and the human mind, heart and spirit: the ways we can connect and include each other, the ways we can probe the world. Sketchbook iterations from Allegra Rose. And I’m less lonely. Going public with work (especially memoir) can seem like a project in ego, but publishing is also a writer’s avenue to community. Getting a book out in the world allows me to participate in rich conversations with people who are fascinated and perplexed by some of the same ideas I am. By collaborating on the cover with my embodied community, those provocative, enlightening conversations have already begun– and will be able to last far beyond an evening’s reading. Our process was anything but glamorous. At our first meeting, we came up with several ideas from using unconventional materials like glass, water, or live plants to attempting new fabrication processes. Looking back, we laugh at how far-fetched those initial ideas were. But we realize now that those early steps in the process fostered the kind of creativity we needed to embody April’s vision. Later that week, we sat down in the studio and began aimlessly doodling and experimenting with discarded pieces of drywall. We were getting nowhere fast. It wasn’t until we started referring back to April’s words and discussing how her content and style related to who we are as artists that we were able to gain a sense of direction. In playing to our strengths, we decided that Heidi would execute the drawing and Emily would focus on the sculptural and digital editing processes. At the end of the day, we had several visual compositions in ink and drywall that we were excited about. During the execution process, our design continued to evolve. Once the drawing and sculptural elements were completed, we were able to experiment with different compositions quickly—which was one major advantage to creating a tactile, analog design. We presented several versions to April and, with her guidance, began working through the final iteration. Once we had a strong foundation, we were able to focus on other important details like typography, use of drywall elements, and overall composition. The final design was really a product of who we are as designers and who April is as a writer. In the end, we surprised ourselves with what we were able to create. Though it wasn’t always easy, the process of translating our physical work into a thoughtfully designed book cover proved to be an experience that exceeded our expectations. Heidi and Emily’s two-person show, Architectural Junkyard, begins this week. Opening reception Tuesday, January 14, 4:30 pm. You are cordially invited.